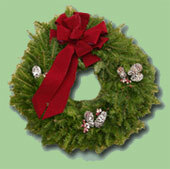 Testers Vermont Christmas Trees and Farm Antiques - Choose and cut your own tree! Select a beautiful Fraser Fir or Balsam from our inventory of pre-cut trees. join us in a hay-ride to our choose and cut fields to select your own. On weekends, enjoy a cup of hot cider or cocoa while you and your family select the perfect tree. If you have a long ride ahead, we can help you bundle the tree to minimize the space it takes. Take Interstate-91 to Exit 25. Take LEFT onto Roaring Brook Road. Go 2.2 miles, our farm is on the left. We are open every weekend from Thanksgiving to Christmas for Choose & Cut.